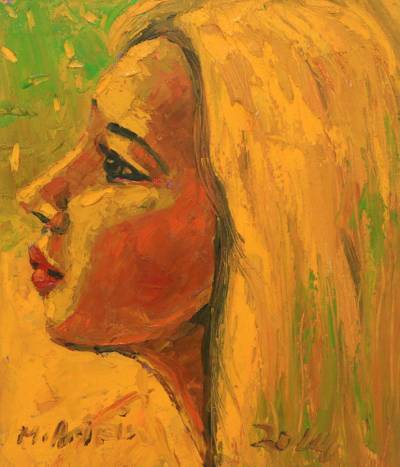 Oil Portrait of a Blonde in Yellow, "Girl with Yellow Hair"
"This woman is a natural blonde. Her gorgeous hair is so long it reaches her knees. I was so impressed I wanted to keep that memory in a painting," Mohammad Arifin says. He works in oil on canvas to create this sensitive portrait.